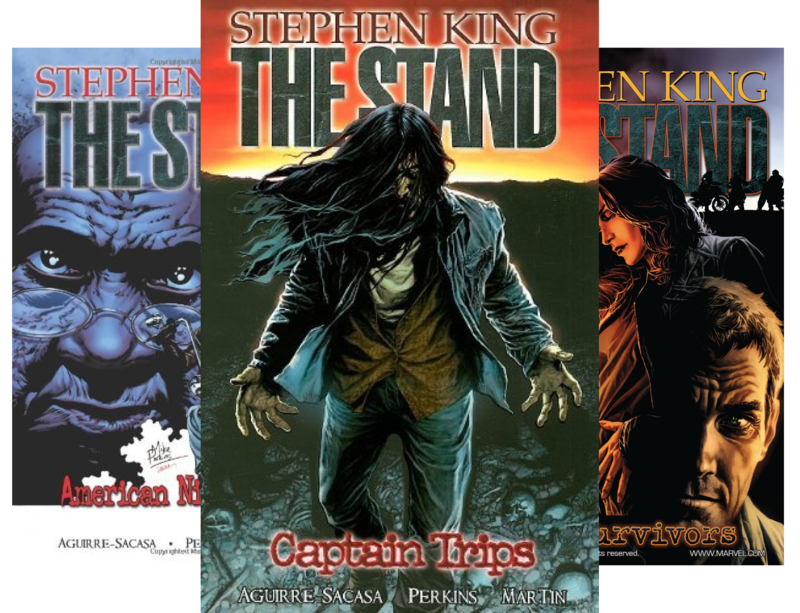 Stephen King’s The Stand was a runaway bestseller at the time of its publication, and later spawned a hit TV miniseries. 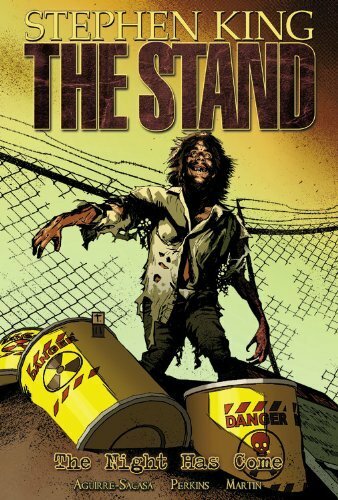 The Stand is King’s frightening tale of a deadly plague that divides the U.S. into factions of good vs. supernatural evil, sane vs. insane, and everyday heroes vs. psychopathic, murderous villains. All six graphic novel volumes, each containing 5 or more individual issue releases, can be purchased in a set that’s currently (as of 4/24/16) priced at $28. Each volume is also available for separate purchase. Collects The Stand: Captain Trips #1-5. It all begins here: the epic apocalyptic battle between good and evil. On a secret army base in the Californian desert, something has gone horribly, terribly wrong. Something will send Charlie Campion, his wife and daughter fleeing in the middle of the night. Unfortunately for the Campion family, and the rest of America, they are unaware that all three of them are carrying a deadly cargo: a virus that will spread from person to person like wildfire, triggering a massive wave of disease and death, prefacing humanity’s last stand. Collects The Stand: American Nightmares #1-5. Someone at Project Blue was keeping a secret. A secret they thought they could contain. They thought wrong. Now, with 99 percent of the country’s population dead or dying, the viral strain developed at project Blue–dubbed “Captain Trips”–has brought about the end of the world. For the survivors–including Nick Andros, Larry Underwood, Frannie Goldsmith and Stu Redman–this ending is a nightmare that’s just begun. And for Randall Flagg, this is an American Nightmare come true, as his macabre vision of the future continues to unfold. Collects The Stand: Soul Survivors #1-5. M-O-O-N spells the start of the third volume of Marvel’s critically acclaimed adaptation of Stephen King’s horror epic. Nick Andros has hit the road and teamed up with the child-like Tom Cullen. After the horrors of Captain Trips, a bike trip through Oklahoma and Nebraska sounds like fun, right? Except it’s tornado season, True Believers, and not everyone Nick and Tom meet is on the side of the angels. 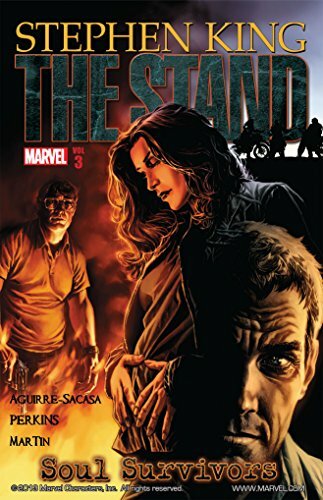 Collects The Stand: Hardcases #1-5. The Trashcan Man was spared for a reason. 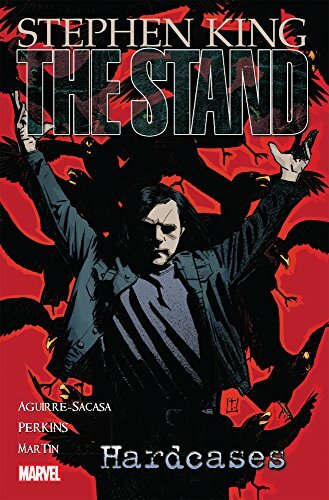 To join the Dark Man Randall Flagg’s swelling army and to set the world on fire. It’s a dream come true for the pyromaniac, but he has to reach Flagg’s compound in Las Vegas first–and, somehow, survive crossing paths with “the Kid,” a hardcase who’s even crazier and more dangerous than Trashy is! The villains are front-and-center as we cross the mid-point of this epic adaptation of Stephen King’s horror masterpiece! 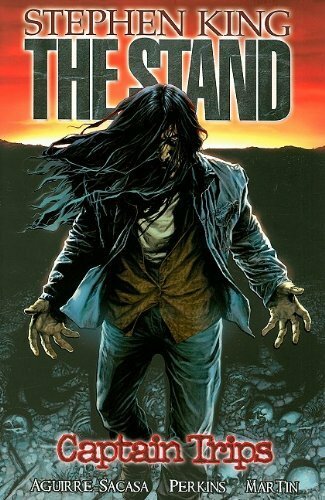 Collects The Stand: No Man’s Land #1-5. While Frannie and Stu struggle to find a balance between their personal lives and their public personas, an unholy, unspeakable alliance is born between Harold Lauder and Nadine Cross. It’s a date with destiny, orchestrated by the Dark Man, and it could very well mean doom for the Boulder Free Zone. 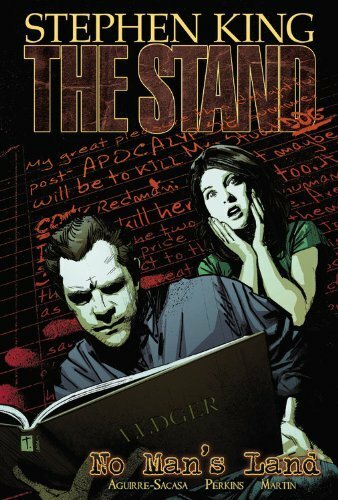 Collects The Stand: The Night Has Come #1-6. It’s all been building to this, True Believers: the ultimate conflict between Good and Evil. The three spies sent by the Free Zone to infiltrate Flagg’s ranks have crossed over to the west, but have they underestimated the dark man’s power? And the loyalty of those who follow him? Blood will be shed in the final chapter of Stephen King’s masterpiece of apocalyptic horror! Tech Tip of the Week: Windows Users: Uninstall QuickTime NOW! 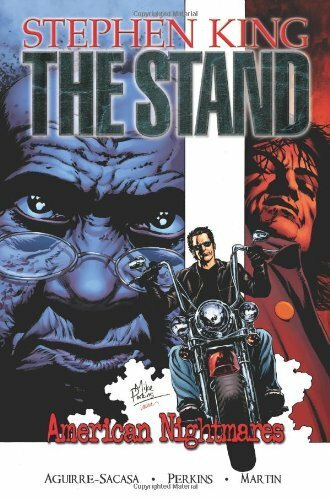 The post Stephen King’s The Stand Graphic Novel Series appeared first on Kindle Fire on Kindle Nation Daily.